I have been slacking on writing blog posts but with good reason. 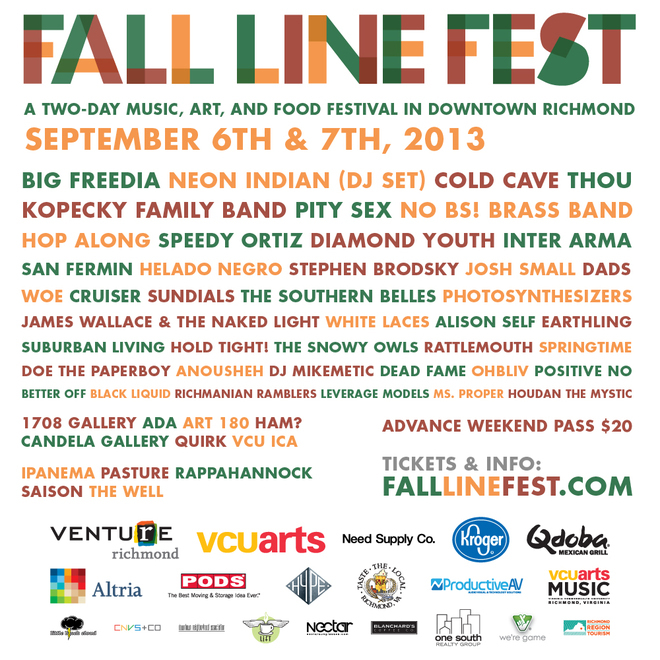 I have been working hard with a small team of people to make this Richmond music / food / arts festival come to life. It is hard to believe this is just 6 days away but it is! These shows will be packed and they will sell out so get your tickets now. Don't make me feel like a jerk when I tell you I can't get you in somewhere because you didn't get a ticket in advance. Plus our band Positive No is playing on Saturday, 6pm sharp at Gallery 5.